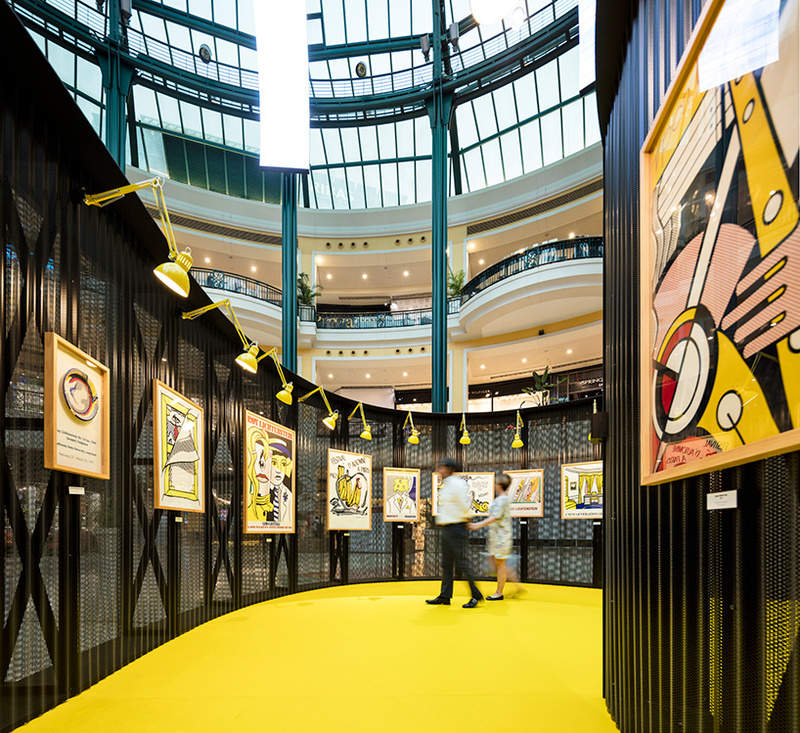 diogo aguiar studio is a multidisciplinary practice working on the boundaries of art and architecture. 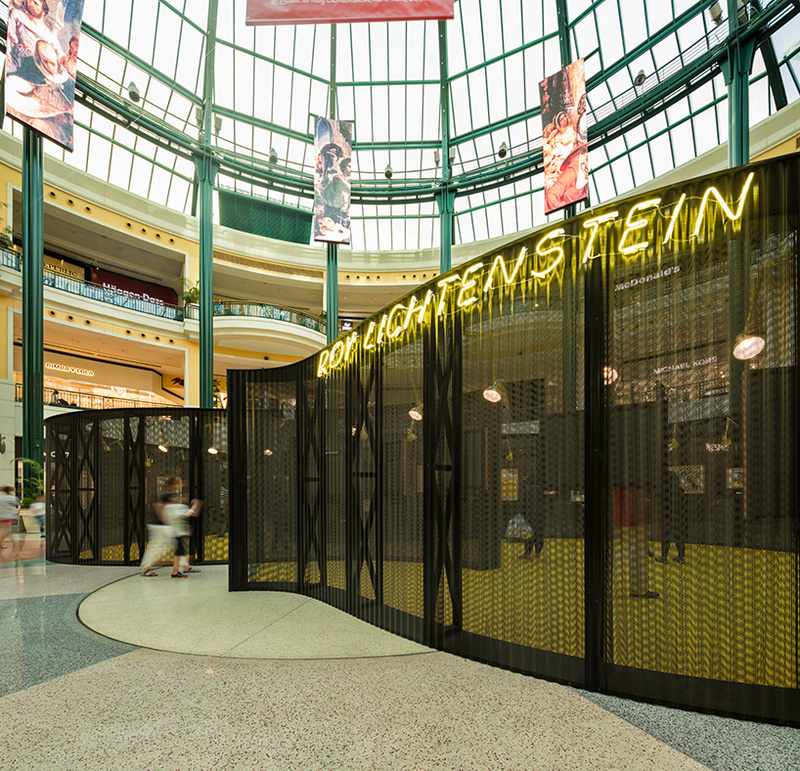 the experimental practice is focused on the design of small-scale buildings and ephemeral interventions, alternately oscillating between the private and the public context. 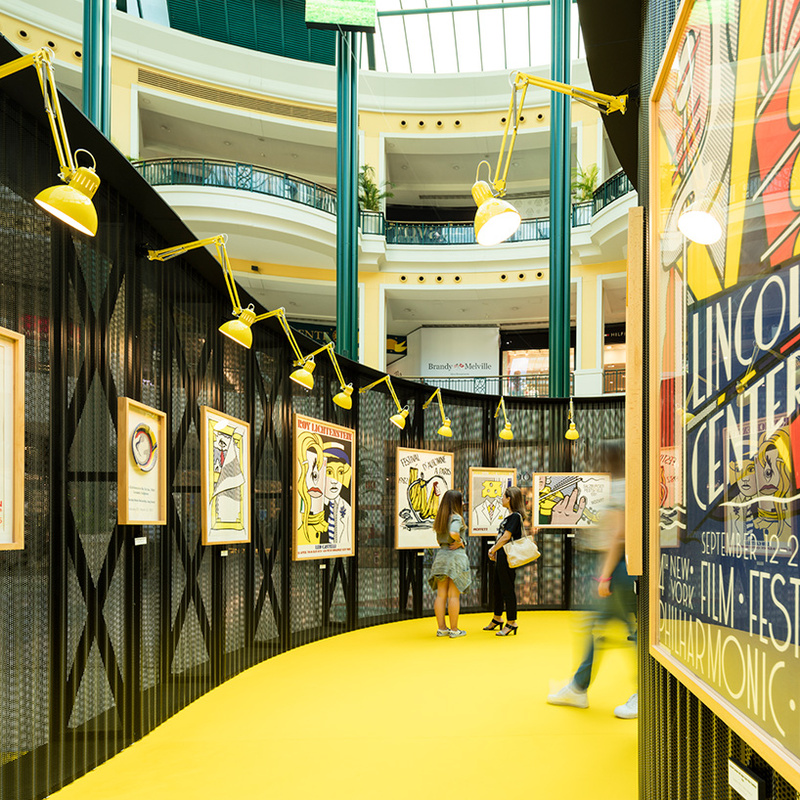 founded in 2016 and based in porto, the studio, which has an international team and various collaborative partnerships, seeks to trigger emotions in all the projects it is dedicated to. 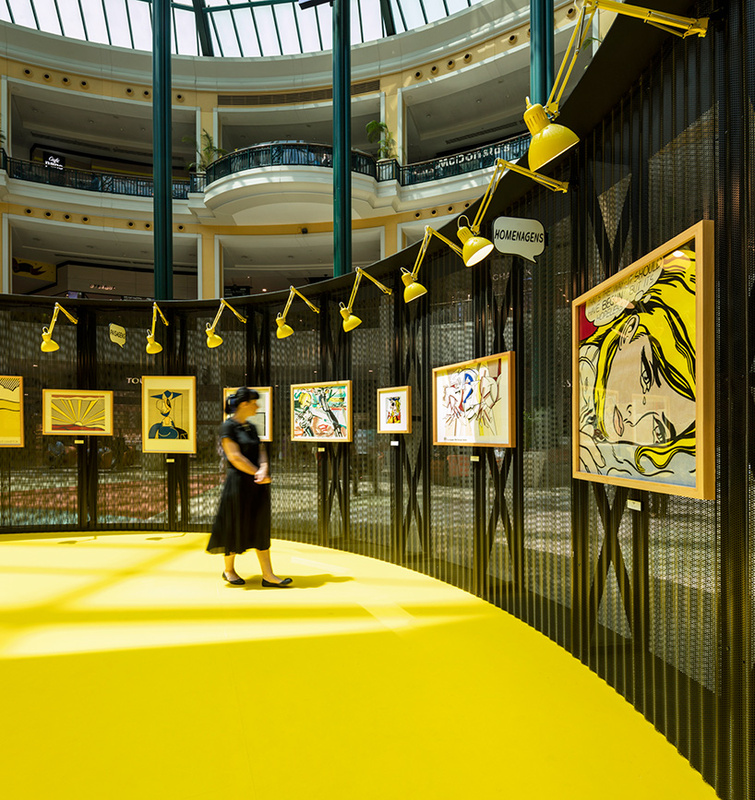 as part of an initiative that seeks to bring art closer to people, diogo aguiar studio and joão jesus arquitectos have created a temporary museum that displays work by american pop artist roy lichtenstein. 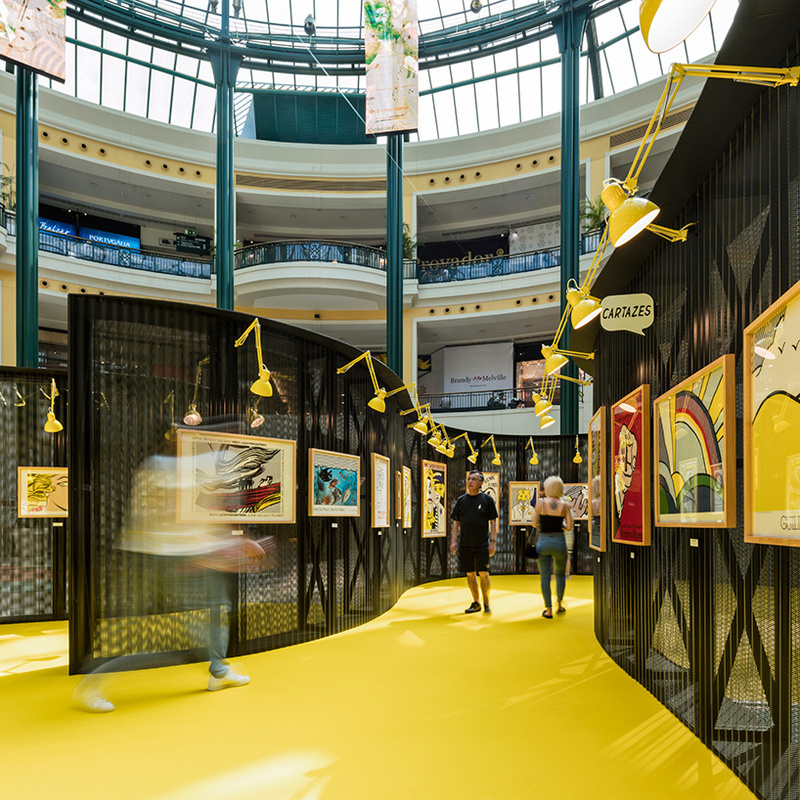 set within a shopping center in lisbon, the design team sought to create a less conventional exhibition space, ‘away from the logic of the white and abstract cube’. 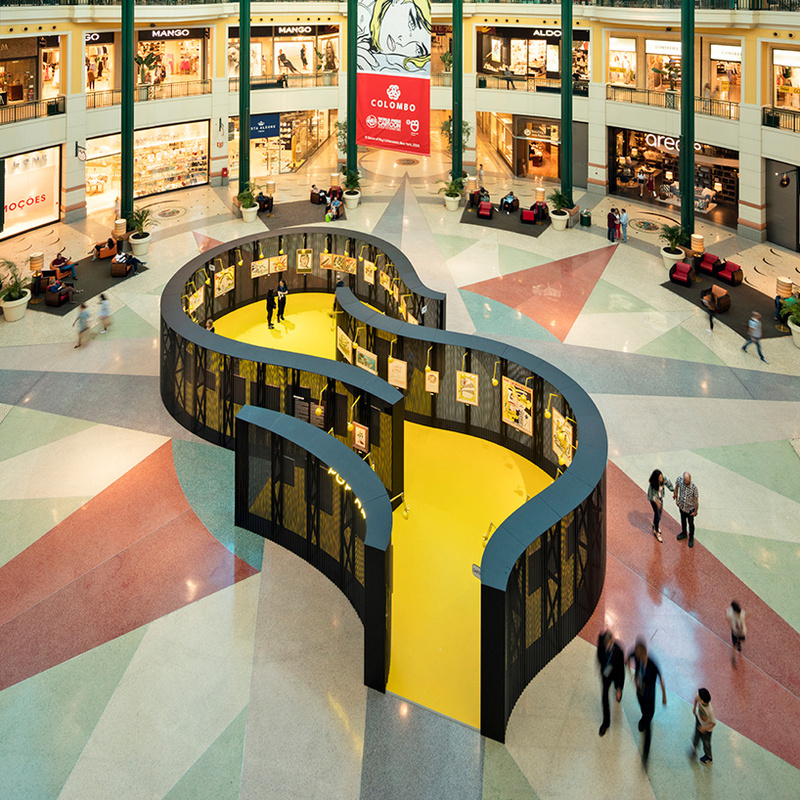 instead, the architects looked to explore a greater relationship between container and content, believing that it could contribute to greater public involvement and a better understanding of the works. 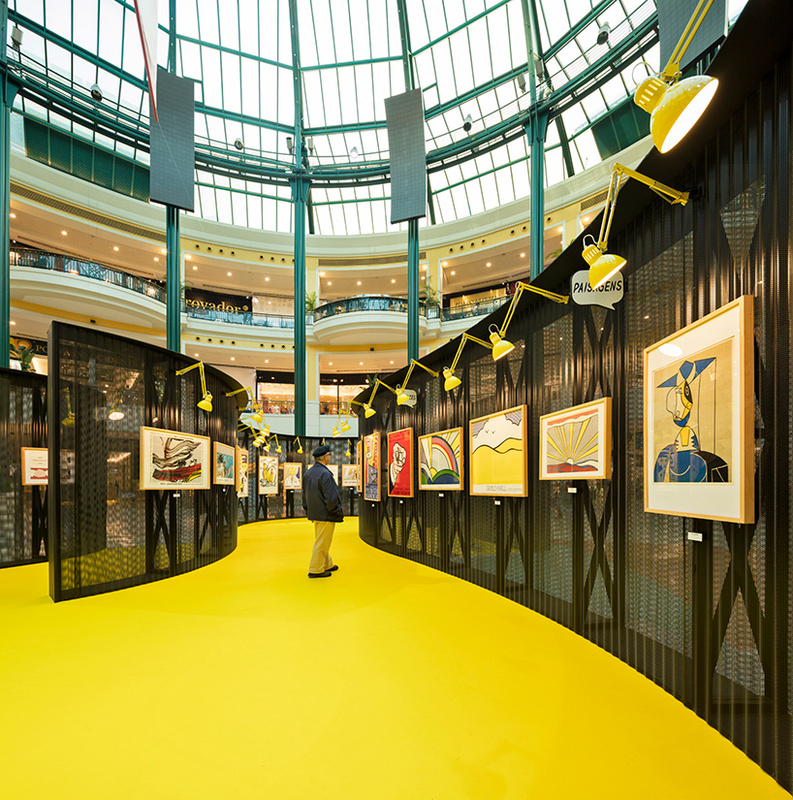 three planes define the exhibition space, which is accessible from three points. 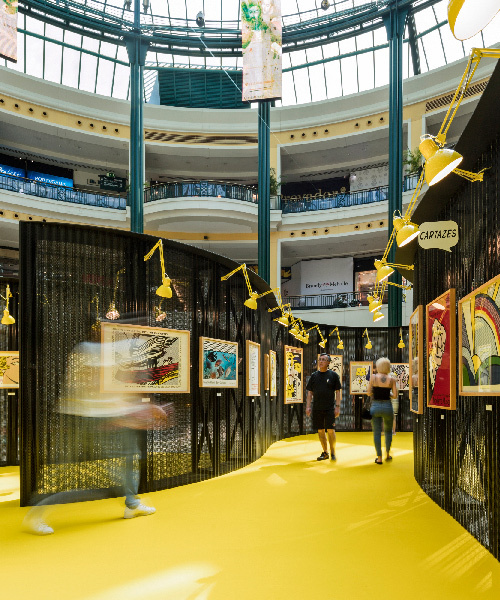 the art works are presented on curved walls of corrugated and perforated black metal, which simultaneously complement and contrast the various pieces. 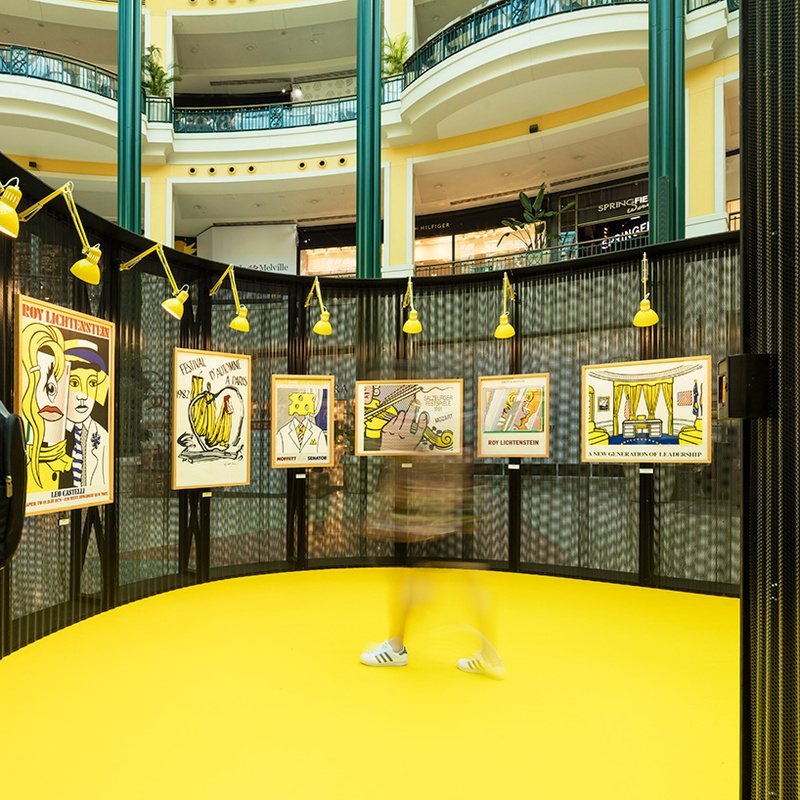 ‘taking as a reference the colors used by the artist in his artworks, the linoleum floor and the articulated luminaires assume the lemon-yellow color, contributing to give a pop aesthetic to the temporary exhibition space,’ explains diogo aguiar and joão jesus, who previously completed another temporary exhibition space within the same venue.